According to the latest announcement made by Apple, the company will raise the prices on the Japanese App Store within the next 24 hours. Such a step is caused by the fluctuations of the currency exchange rate in this Asian country. The guys from Cupertino say the changes won’t affect active subscribers immediately, however, they will have to pay more to renew their subscriptions for services and to purchase new apps and games. Apple will notify local users either by email, or through the official website. 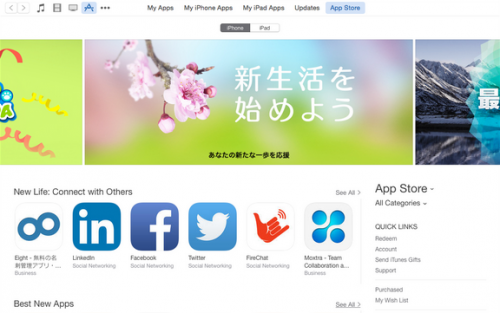 Within 24 hours, prices on the Japanese App Store will increase in response to changes in foreign exchange rates. Active subscriptions won’t be interrupted. We’ll send an email to notify current subscribers that their subscription will be renewed at the new increased price from now on. Right now, the cheapest 0.99USD apps cost 100JPY on the Japanese App Store. Within several hours, the price will rise to comply with the currency exchange rates fluctuations. This is not the first time Apple raises the prices on its non-U.S. App Stores. Last year, the same change was spotted on the Russian App Store.